Thanks so much for picking this bowl out for me. It is exactly what I wanted. 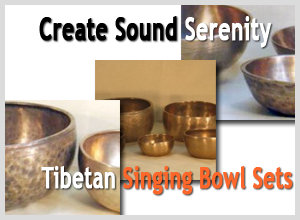 It has a great tone and is almost like having 3 different bowls. Love it, love it, love it! Sometimes just listening to the sound of this wonderful bowl for a few strikes is enough to pull me into a meditative state. Thanks again for the excellent customer service.